If you have been using Spring for years but haven't got a chance to got-up with all the latest development in the Spring world then the year of 2019 is the best time to correct that. After Java SE 8 release, most of the Java frameworks are upgraded to support the new style of coding in Java. It has now become standard in Java and the code written using old style is no more in practice. Technical lead and architect are rejecting such code in peer code review and encouraging experienced Java developers e.g. someone who has 5 to 8 years of experience to learn Java 8 and Spring 5. It makes sense, you just can't write code in old way if a better option is available which is more readable, intuitive and provide better performance. Same goes for Reactive programming model. Well, I will accept that once you gain experience your learning become slow and many Java developer, including myself, don't put enough effort to keep ourselves up-to-date. Your company also plays an important role on this, for example, if you are working for Investment banks and big organization which is still using old technologies then you will less likely to upgrade yourself because there is no push. If you are working for a startup, which is very agile on adopting the latest and greatest framework, library and technology you will likely to upgrade yourself more often. Btw, if you are completely new to Spring world and looking for the best way to learn Spring framework in 2019 then I suggest you to first start with a comprehensive online course like Spring Framework 5: Beginner to Guru before you read this book. I have found that it accelerates your learning and you get more from the books later. Anyway, if you want to give your career a boost and break the shackle, here are a couple of Spring books, I think experienced Java developers should read to learn about new features of Spring 5, Spring Boot, Spring Cloud and how to develop Java application for Cloud using spring frameworks. This should be one of the first few books to read in 2019, of course only after you finish the Effective Java 3rd edition if haven't already. 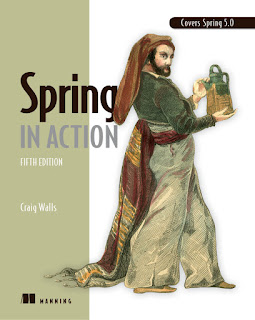 Though Spring in Action doesn't need any introduction or recommendation and hands down the best book to learn Spring framework now it is also updated to Spring 5 which means you can use this to learn and discover what’s new in Spring Framework 5 e.g. reactive features, WebFlux etc. It will also teach you how to use the Spring Framework with Java 9 and aster data access and transactions, work with the new functional web framework and create microservices and other web services using Spring Boot and other cloud technology. I suggest you follow this book, if you are learning ring framework in 2019. It's more up-to-date and follows the latest practices for developing Java application with Spring. This is one of the must-read Spring books in 2019 for Java developers who want to learn how to design and develop production quality Java application for the cloud. 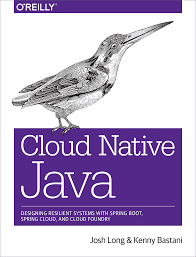 The full title of the book is "Cloud Native Java: Designing Resilient Systems with Spring Boot, Spring Cloud, and Cloud Foundry" and as the title suggests, it covers all the technology and framework you need to roll out your first Java application for the cloud. Both author, Josh Long and Keeny Bastani are expert in Spring framework and provided a detailed overview of all the technology mentioned in the title e.g. Spring Boot, Spring Cloud and CloudFoundry while keeping the real world example in focus e.g. their story of Amazon, NetFlix, and Uber sparks interest. This book is aimed primarily at experienced Java/JVM developers who are looking to build cloud-based Java application using Spring Boot, Spring Cloud, and Cloud Foundry. There are tons of details which can be overwhelming sometimes. If you don't know Spring then this is not the book for you, instead, you should first read the Spring in Action or Pro Spring Book to get yourself familiar with Spring, or you can take the Spring MasterClass course on Udemy. If you are interested in Microservices, Spring Boot and wondered why many companies are using Cloud Foundry, then you should read this book. 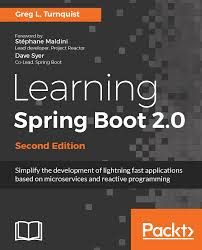 Apart from Spring 5, the other major release in 2017 was Java 9 and Spring Boot 2.0 and this is the best book to learn all the changes made in Spring Boot 2.0 release. This book explains the examples with detailed explanations of complex reactive topics and its well organized to build an application from scratch on the reactive paradigm. Btw, again this book is not for beginners. You need experience in Java 8 and you should be familiar with concepts like lambdas. You also need a basic understanding of Spring Boot and Spring framework, reactive programming and cloud computing to get the most out of this book. If you are looking to build efficient backends and microservices using Spring Boot then this is the must read the book for you. I also recommended this book to anyone who is trying to learn spring boot 2.0 with reactive programming model concepts. If you like to learn new concepts by following the how-to tutorial and recipe book then this is the book for you. 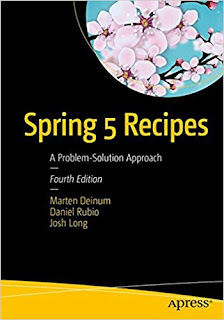 It not just covers new features of Spring 5 but also teaches you how to develop using Spring 5 and Java 9. It provides re-usable code recipes and snippets from core Spring and Spring MVC which can be used in web development. It also has recipes covering how to work with Spring REST and Microservices for web services development. It also covers Spring Batch, NoSQL and big data for building and integrating various cloud computing services and resources. Overall, a nice book to learn modern Java development with Spring 5. There is a lot of buzz around Microservices and Spring is leading the way by offering technologies you need to build a microservice based application in Java. 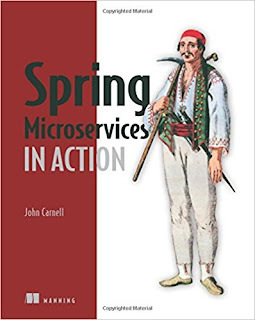 In this book, John Carnell will teach you how to build microservice-based applications using Java and the Spring platform in a step by step, organized manner. It will not only teaches you Core microservice design principles but also all the technology you need to develop and deploy your microservices in the real world. You will learn about how Spring Boot and Spring Cloud simplify your microservice applications and all the tools Spring Cloud provides for the discovery, routing, and deployment of microservices to the enterprise and the cloud e.g. Hystrix, Ribbon etc. That's all about some of the best books to learn Spring Framework in 2019. These books will help you to learn all key technologies and frameworks e.g. Spring Boot, Spring Cloud, Spring 5 updates and Spring Security 5 updates which are very important for a Java Web Developers. Spend some time learning those important updates if you haven't learn them already. They will not only help in your day-to-day job but also on any perspective interviews you are looking forward. How Spring MVC works internally in Java? What is the role of DispatcherServlet in Spring MVC? Thanks for reading this article so far. If you like this post then please share with your friends and colleagues. If you have any questions or feedback then please drop a note.